All fonts available in double-high, double-wide, emphasized, double-strike, italic, underline, superscript, subscript, outline and shadow. 1. 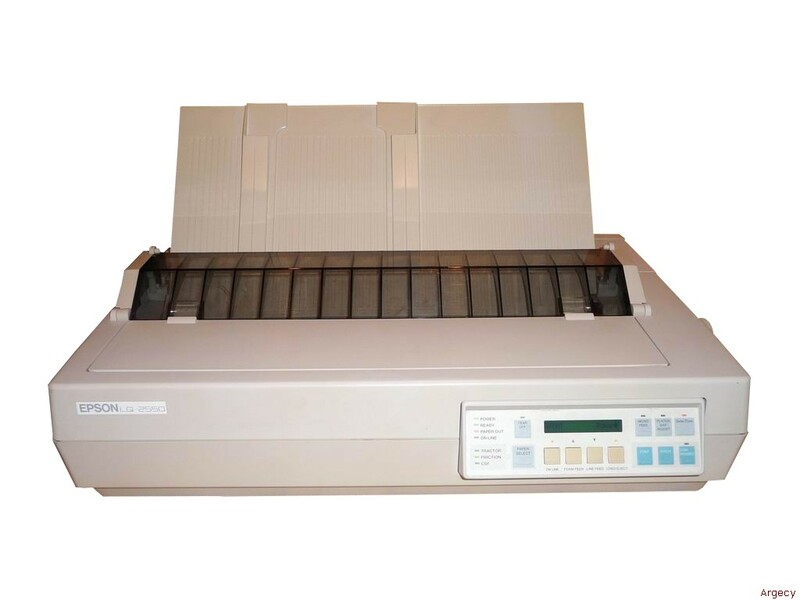 Take the printer off line and press the PAPER SELECT button until the FRICTION light comes on. If continuous paper is loaded, it will be fed backwards to a standby position. 2. Raise the paper guide until it locks in place. 3. Close the paper guide cover. 4. Slide the left edge guide until it rests against the guide mark. Next, adjust the right edge guide to match the width of your paper. 5. Slide a sheet of paper down between the edge guides until it meets resistance. 6. Press the LOAD/EJECT button once to automatically load the paper. 7. Press the ON LINE button to set the printer on line. HEAD HOT The print head is overheating, The printing will automatically resume when the head cools. ERROR 10 Paper Jam. Turn the printer off and reload the paper. ERROR 11 The paper is not straight. Turn the printer off and reload the paper. ERROR 12 The platen knob was used to advance the paper. Turn the printer off and reload the paper.